We’re happy to be pushing the raunchy envelope this week here at twxxd.com. And most importantly, B’s wishes were fulfilled drawing a giant wang on another iconic character. Everybody wins. Makes perfect sense he can’t drink since he is made of Kool-Aid so any impurity introduced into the mix would impair him quickly. It’s a shame he was arrested after this. One of my favorites, thus far! 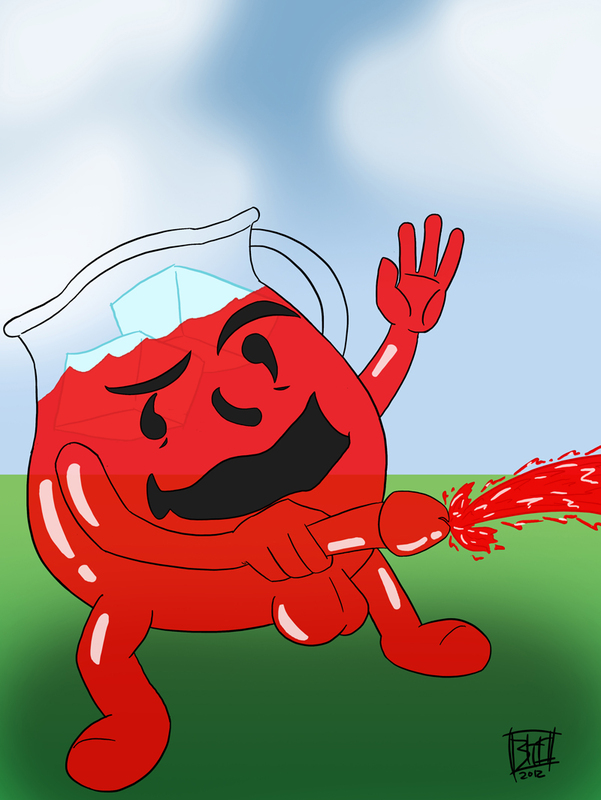 At least, we know that Kool-Aid Man will never get blue balls. I like that he’s got a glass wang. Also, that’s probably more of a spiked kool-aid punch at this point! It’s true, how much of what’s left in there is even Kool-aid? Of course now I’ve revealed that I couldn’t resist clicking through. Blast! So that’s what he used to break down all those walls!